"Just how I felt this morning. And usually, friends, magazines, pictures, people, interactions." 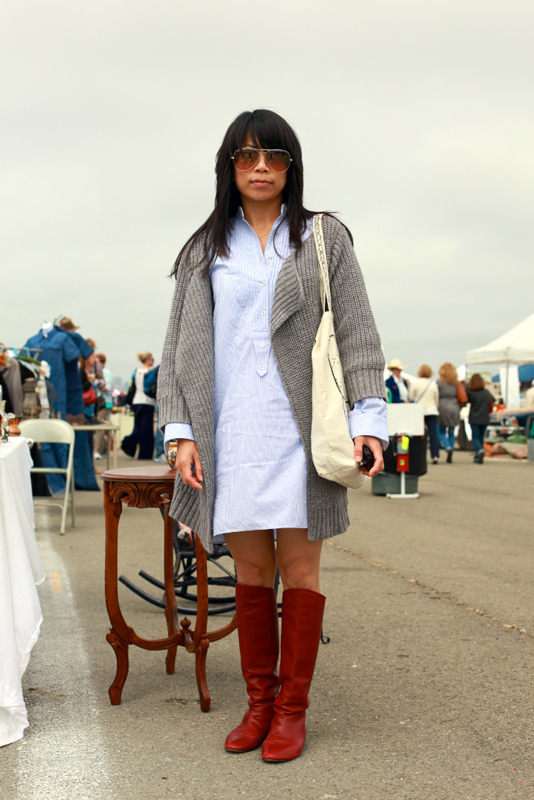 There is something about shirt dresses that can look pulled together and super casual at the same time. 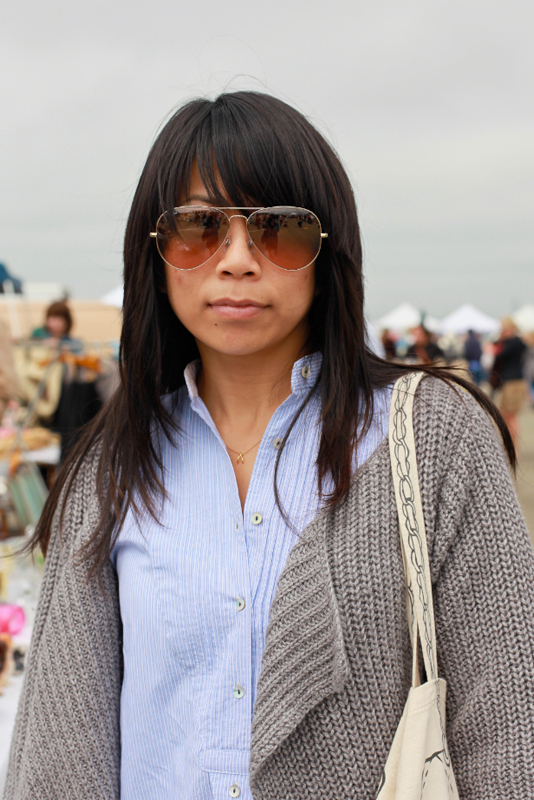 The cardigan here makes everything a bit more relaxed, a little more cozy. 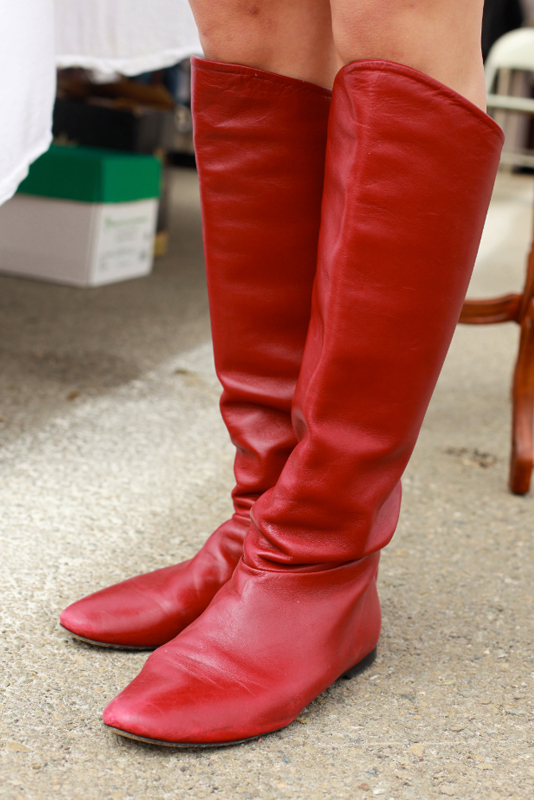 These red boots without adornment make quite a statement on a foggy Sunday morning.